HOTEL CASA ROLAND IS COSTA RICAS MOST ELEGANT BOUTIQUE HOTEL. THE RESORT IS SETTLED IN THE QUIET EMBASSY DISTRICT OF SAN JOSE, A SHORT DISTANCE FROM DOWNTOWN SAN JOSE, WITH ITS FAMOUS NATIONAL THEATER, MUSEUMS, CASINOS AND WORLD CLASS HEALTH CARE FACILITIES. THE PROPERTY IS CONVENIENTLY LOCATED THIRTY MINUTES FROM THE SAN JOSE INTERNATIONAL AIRPORT. 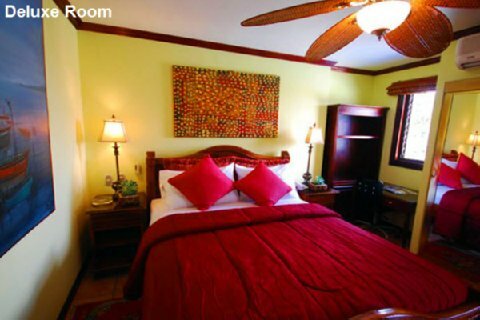 HOTEL CASA ROLAND OFFERS SPACIOUS GUEST ACCOMMODATIONS FEATURING SELECTED ROOMS WITH A PRIVATE JACUZZI. YOUR VACATION BEGINS HERE, IN THE ELEGANT AND UNIQUELY RELAXING STYLE OF HOTEL CASA ROLAND. WE CAN OFFER YOU EQUALLY EXCITING ACCOMODATIONS FROM GUANACASTE TO MANUEL ANTONIO TO GOFITO AND BACK.